In numerous traditions of indigenous thought, the sharing of food is treated as ceremony. Each ritual reflects the understanding that giving and receiving is a sacred transaction. You give and receive in appreciation of your interdependence with others—not only with your family and community, but also with the farmer, the food provider and the vast non-human family that populates Earth. Every bird, every bug, every microscopic microbe—every living organism interconnects in the great web of life. As school students we learn that all life is made of the same basic elements—earth, water, air—yet as adults we tend to forget it. But the facts are the facts: We drink water that circulates throughout the whole biosphere. The oxygen exhaled by the rainforest becomes our own breath. The food produced by the seed and the soil builds up our bodies and keeps them alive. We are one with the earth. If it sounds like spirituality, it is. But it is also science and—more than ever now—politics. Before The Seeds of Vandana Shiva, we made a series of short documentariesbased on symposia that brought together scientists, environmentalists, religious leaders and policy makers to share research on the world’s besieged water bodies. It was during this period that we met Dr. Shiva and decided to document her remarkable life. Here, on the occasion of her Sydney Peace Prize Award in 2010, this scientist (M.Sc. in Nuclear Physics, Ph.D. in the Philosophy of Quantum Theory) talks about Vasudhaiva Kutumbakam, a concept in Hinduism that describes the world as a single earth family. It is this “big picture” perspective that makes The Seeds of Vandana Shivaproject more than just a documentary film. Along with numerous partners, our goal is to share it with organizations around the world for education and outreach—including to public officials who can influence policy towards a more ecologically sensitive world. But first we need to finish it! And you can help us to do that with a tax-deductible donation. Did we tell you that Patagonia gave us a grant to support distribution? Thank you Patagonia, along with your in-kind sponsorship through Patagonia Action Works, which will help us to launch! $25 gets you a tax-deductible, password-protected link to the finished film. $100 gets a tax-deduction, a password-protected link to the finished film and your name (or a friend’s name) in shiny lights in the credits. If you’d like to donate by any other means, please contact us here. 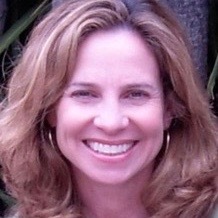 Maureen Tunney is an independent film producer whose projects have ranged from commercials and public service announcements to such innovative app content as the “Be My Eyes” campaign, which creates instant communication between blind and sighted partners. She developed her professional skills in an atmosphere of service, beginning with her long association with the Luethi-Peterson International Camps organization, which each summer brings together children from numerous world cultures in several European and North American locations. She has also been a mentor to numerous young people seeking film and media careers, including her own sons. 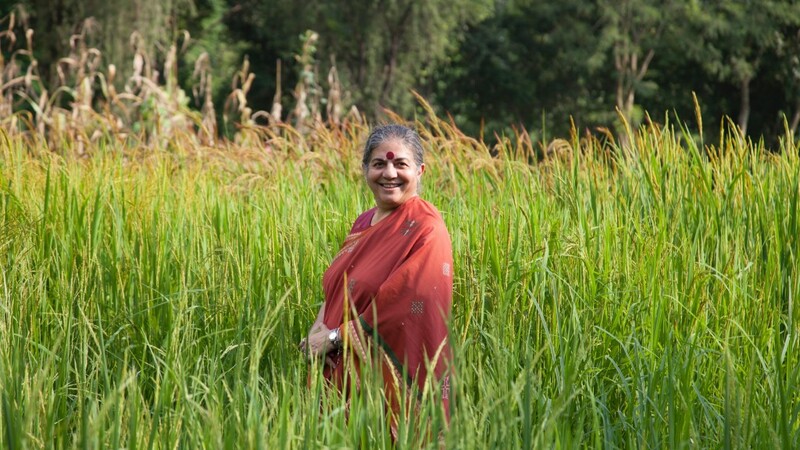 Her involvement with “The Seeds of Vandana Shiva” is a continuation of her strong interest in advocacy for under-represented communities around the world. 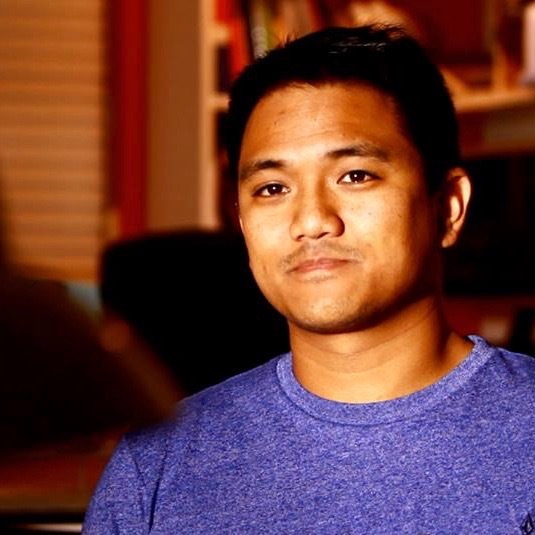 A child of the Occupy Wall Street movement, Jeff’s journey to land interviews with Noam Chomsky and Glenn Greenwald sparked his passion for archival research. He has since worked with Academy-Award-nominated filmmakers on documentaries illustrating the stories of activists and athletes from the Middle East, Asia, Africa, and across the Americas. He has provided research for the Electronic Frontier Foundation and The New York Times, and his work has aired on PBS. Jeffrey lives to find the unfindable. Most recently, his deep-dive research on 60 Minutes journalist Mike Wallace provided footage for a film now in competition at Sundance. As a producer, Jeff has worked on films about whistleblowers and drone strike survivors and has consulted for the Chumash indigenous people. It’s been a while…and here’s why. Would you believe it: It’s been four years since we finished our film Sons of Africa and had the idea to tell the life story of Dr. Vandana Shiva. Yes, filmmaking takes time! And The Seeds of Vandana Shiva is taking great shape. Here’s why you haven’t heard from us lately: We are deeply immersed in sourcing archival footage and photographs, listening to music to inspire a score, fact checking, cleaning up dialogue—all consuming and important work that is hard to report about when you’re busy doing it. We remain grateful to everyone who has supported this leg of the journey. But today we’re abandoning all that and hitting the road! First stop, Santa Rosa, California. Vandana is speaking at the inspiring and colorful Heirloom Seed Expo, and if you’re in the area, we encourage you to attend. She’s appearing on a panel with Robert Kennedy Jr., on the issue of glyphosate (the main ingredient in Monsanto’s RoundUp) that has been named as a probable carcinogen by the W.H.O. 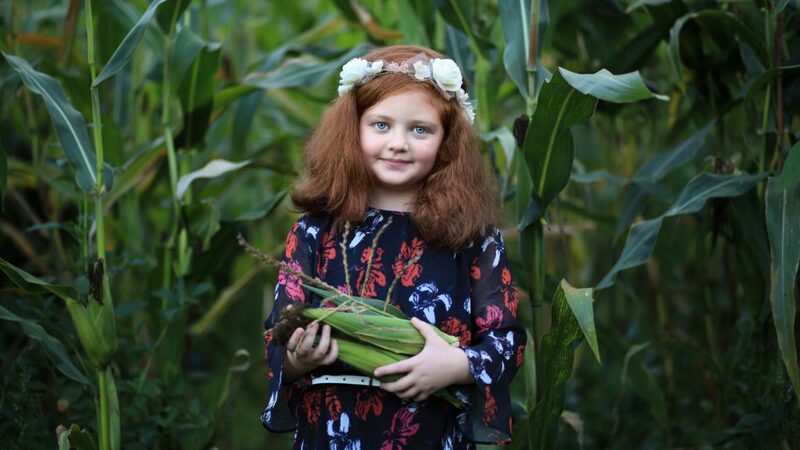 Next she’s addressing the tension between our seed supply and corporate interests, as well as the Care What You Wear campaign about how our clothing purchases can impact an ecologically toxic and unjust garment industry. 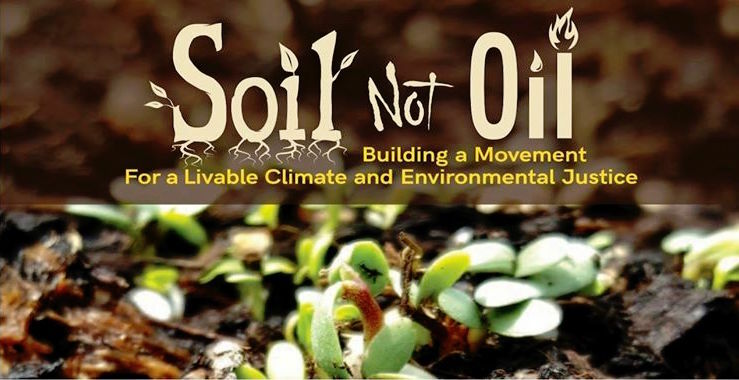 On the evening of September 6 Vandana will open the Soil Not Oil conference, a powerful three-day event featuring artists, activists and academics sharing new information on regenerative agriculture and the social-ecological health of the earth. The conference was inspired by her book, Soil Not Oil, a must-read in this era of obvious (and heart-rending) climate disasters. At the end of the month we’re attending the Regeneration International General Assembly at Rancho Via Organica in Mexico. We look forward to filming and connecting with partners and allies to discuss plans for the film’s distribution. And in case we again get caught up in editing and neglect to write to you before November, we must alert you to the Pathway To Paris Concert (Carnegie Hall, New York, November 5) featuring a line up of amazing musicians—Patti Smith, Michael Stipe, Flea, Talib Kweli, Tanya Tagaq, Tenzin Choegyal—plus words of wisdom by Bill McKibbon (350.org) and Vandana Shiva! More than ever now, it’s all about climate change. 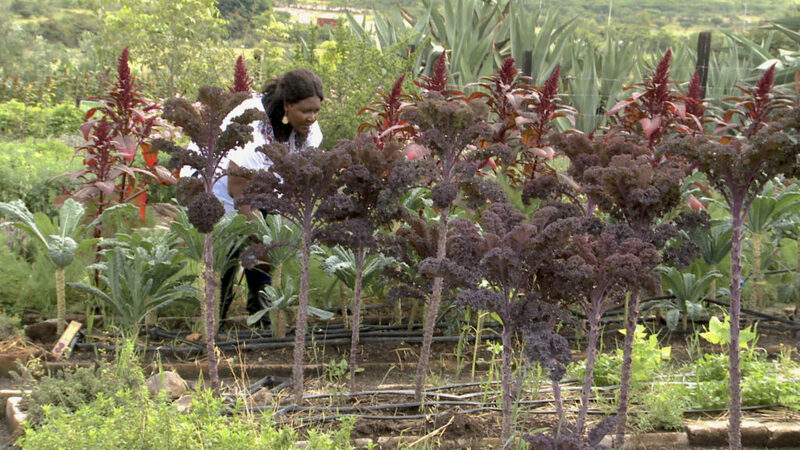 Food systems play a huge part, not only causing up to 50% of the problem, but also offering solutions to solve it. OK, we admit it. For this one we can’t wait. In between all of that, we will keep at it, looking forward to when we can show you the film! 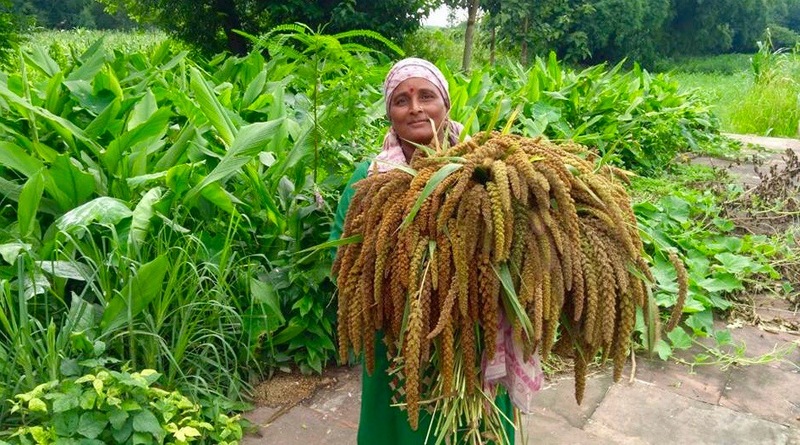 BTW: Our cover picture, taken by Pramod Kamothi at Dr. Shiva’s Navdanya farm features seed keeper and farmer Sheela Godial with an abundant harvest of fox tail millet, a nutritious but forgotten heritage crop being restored at the farm. Vandana Shiva and Standing Rock: What’s the Connection? We understand you are inundated with fundraising appeals at this time of the year. We are too and, like you, have been doing what we can to support the causes we care about. Standing Rock, for example, is very much on our minds. While we are celebrating the news that the Army Corps of Engineers has denied Energy Transfer Partners permits to continue construction through Lake Oahe, we are still sending supplies and prayers of support. Why? Hundreds of waterways are still under threat, the investors issued a statement that they intend to proceed anyway, and the incoming US President—a financial stakeholder—has made it quite clear where he stands on the issue. It’s not over yet. We can’t help but draw parallels with the stand-off in North Dakota and an historic event in The Seeds of Vandana Shiva. We want to share that story with you because despite seemingly insurmountable odds, in time the peaceful protestors prevailed. 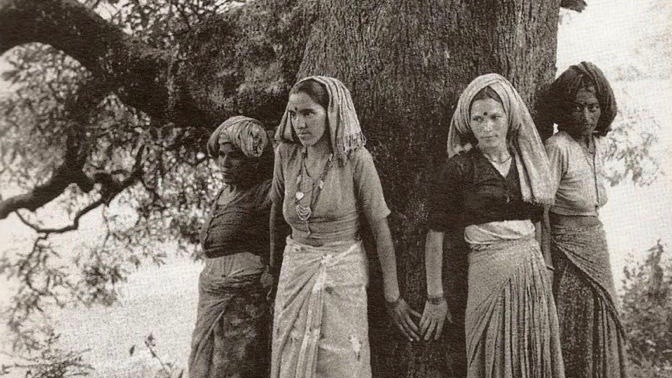 We’re talking about Chipko—the historic Tree-Hugging movement—that began in the Himalayan forests where Vandana grew up. In 1973, a small group of indigenous tribal women rose up in non-violent resistance to the reckless deforestation of their ancestral homes. Rampant commercial logging was destroying their lives, including the soil and water on which they depended. Just as the First Americans at Standing Rock today stand between precious water and DAPL construction crews, the women of Chipko stood between precious trees and the logging machines. 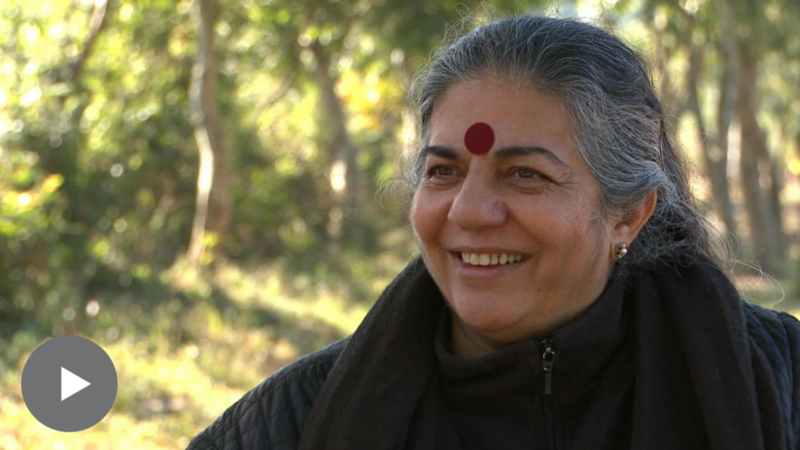 A young Vandana Shiva played a key role, communicating in English what was happening to the outside world. Think about it: Without the Internet, cell phones, video cameras or social media, a motley resistance started by a small group of women grew into an international movement that became a precedent for non-violent protest across the globe. In the end Prime Minister Indira Gandhi issued a state order that banned logging in the Himalayas. Better yet, this was followed by programs to restore ecological health to the forests and waterways. The Tree Huggers prevailed. The Water Protectors can too. 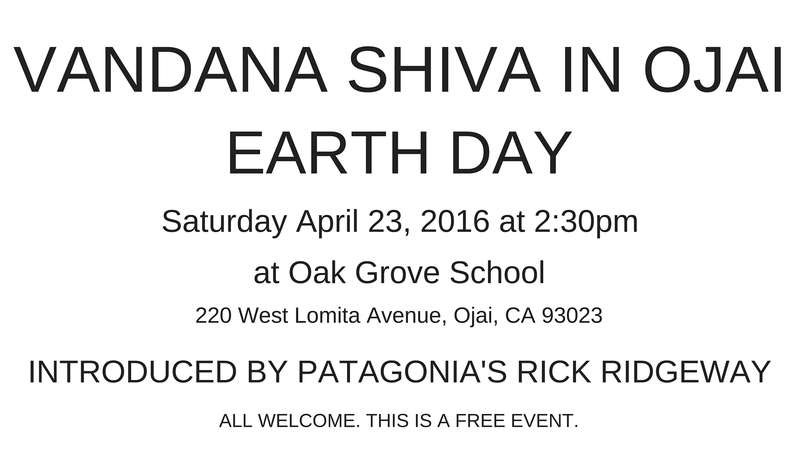 CLICK HERE TO HELP US FINISH THE SEEDS OF VANDANA SHIVA. And yet, ten days later at the Arc de Triomphe and the Eiffel Tower, we filmed tens of thousands who took to the streets in joyful demonstration for a commitment to climate action. The energy was electric. The police stood aside. 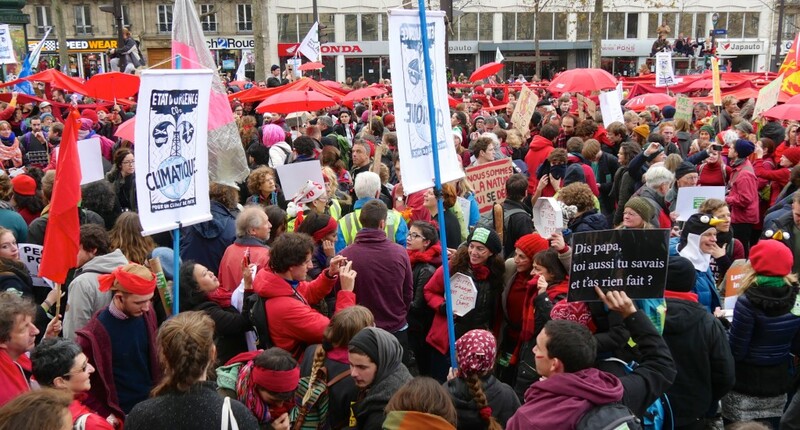 Despite the State of Emergency, activists in Paris found a way to be heard. On that same day, December 12, 196 countries agreed to take steps to arrest the build up of greenhouse gasses disrupting the climate and causing extraordinary natural disasters. 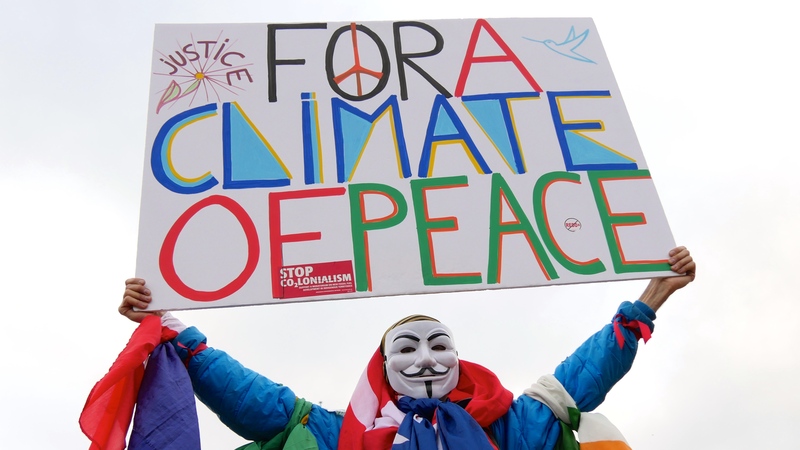 Post-analysis puts the voluntary agreement somewhere between “a turning point in human history” and “too little too late.” At best there is greater hope that governments will stand up to polluting corporations and legislate measures to combat climate chaos. Of course Vandana Shiva was front and center of the activities–giving speeches, meeting with government ministers, speaking at press conferences, fielding numerous interviews and even helping to plant an organic “garden of hope” in the city. 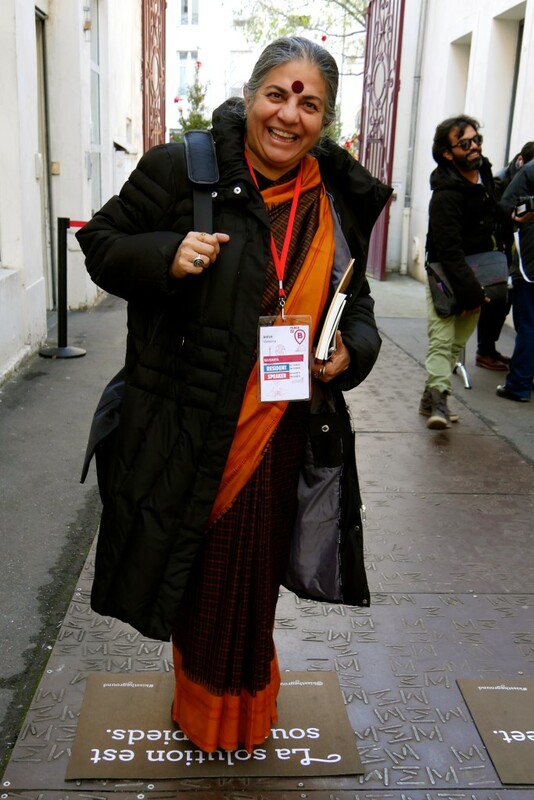 Here she is arriving at The Rights of Nature Tribunal, one of numerous powerful and packed-to-capacity gatherings she addressed on her back-to-back schedule in Paris. The doormat says The Solution is Under our Feet–a great piece of guerrilla art designed by Kiss The Ground, part of our Regeneration International crew, who also arranged to have the words The Soil Story beamed from the Eiffel Tower. For the first time, at COP21, soil and agriculture was on everyone’s lips and food systems were acknowledged to be factors in climate change. But just like Big Tobacco and Oil, Big Ag and Big Food are denying the extent of their culpability while proposing false solutions offering more of the same: seed patenting, loss of biodiversity, genetic engineering, toxic chemical inputs, expensive technologies, displacement of farmers and corporate control of our food supply. Thankfully, in Paris Vandana and the team from Regeneration International clearly articulated their message of hope. Without resource heavy technologies, organic and fair traded food systems can sequester carbon out of the atmosphere and return it to the soil where it belongs. Our video about her Navdanya farm and university, Welcome to Bija Vidyapeeth was screened at the It’s Possible Forum at La Villette where she appeared with Rob Hopkins of the Transition Network and Paul Watson of Sea Shepherd Conservation Society. This event centered on the change-making possibility of people power, an idea both celebrated and executed in Paris. As Vandana made clear at the Forum, we can transition away from degenerative and predatory economies. It is not only imperative but also possible for we in the West do well with less. In fact, regenerative gatherings against degenerative systems were numerous and happening all over Paris. 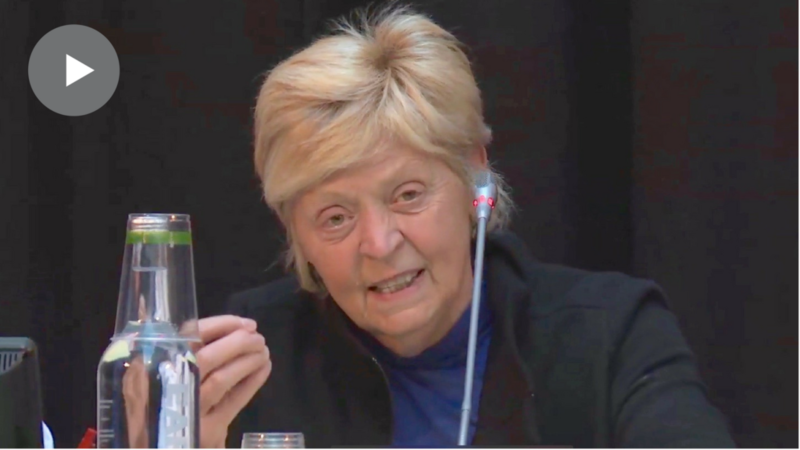 One particularly important event was the press conference held on December 3rd announcing an International Monsanto Tribunal scheduled for October 2016 in The Hague. Another was the Pathways to Paris Concert with Patti Smith, Flea, Thom Yorke, Tenzin Choegyal, Vandana Shiva, Bill McKibbon and Naomi Klein. Now we are home and back to editing. With all the filming done for this project, our equipment has taken a beating. Two of our cameras failed on this trip. First thing in the new year we hope to repair them while also preparing for post production. That means fundraising. However, by making a tax-deductible donation to this project right now, you could put your 2015 tax dollars to use. Thank you in advance for your support! All the rewards still apply, including a free and early link to the film.